Today was Day #2 of Chocolate and Nibs Theme Week. 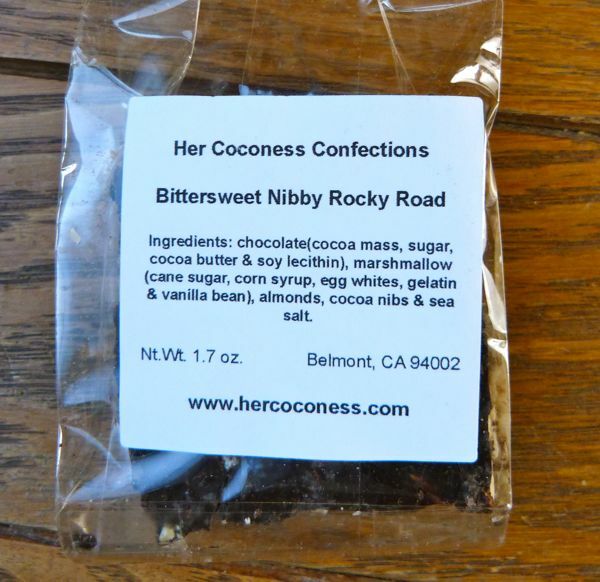 Cacao nibs added pleasant crunchy texture to an old favorite (rocky road) in this simply packaged Bittersweet Nibby Rocky Road from Her Coconess Confections (Belmont, CA). 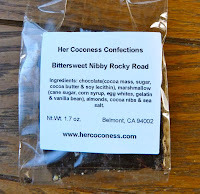 With a great company name like Her Coconess I felt I should perform a small curtsy before trying a bite of this dark chocolate confection -- made with marshmallows, almonds and the aforementioned nibs. 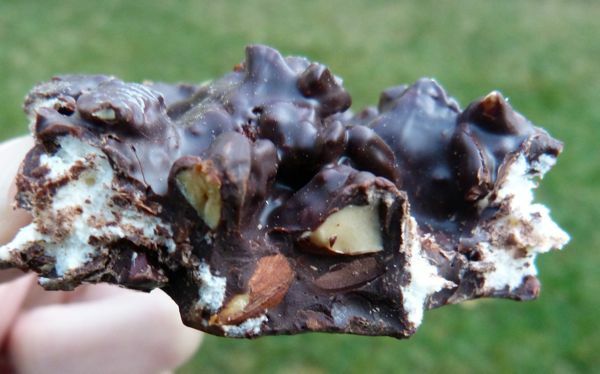 But, the last bite of this square seemed to have disappeared into my mouth before I got the chance.